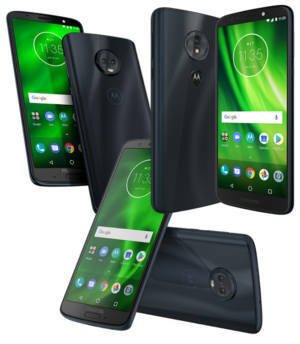 For the 6th generation of Moto G (Moto G 2018), Motorola released 3 models: Moto G6, Moto G6 Play and Moto G6 Plus. These 3 phones may look similar. All come with the latest Android Oreo 8.0. But the differences are obvious as well. This post compares the 3 models of Moto G6 (Moto G 2018) and explains the top 6 differences among these 3 Moto G6 modes to help you understand the differences and therefore make the correct decision when purchasing a Moto G6. You may check the official user manuals for Moto G6, Moto G6 Play and Moto G6 Plus in this page. The 3 Moto G6 models have different combinations of screen sizes and screen resolution. Moto G6 and G6 Play both have a screen size of 5.7″. Moto G6 Plus has a 5.9″ screen. But for the screen resolution, Moto G6 and Moto G6 Plus both have a 1080p (18:9) screen. 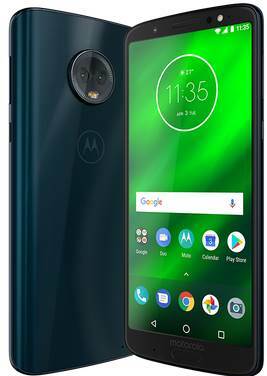 Moto G6 Play comes with a 720p screen. This suggests Moto G6 has the highest pixel density (higher than both Moto G6 Play and Moto G6 Plus. Overall, for the screen, the difference between Moto G6 and Moto G6 Plus is small. Motorola continued to use middle-range CPUs on Moto G6 (Moto G 2018) devices. Moto G6 Play comes with a Snapdragon 430 CPU (or 427 in the US). There are eight (4 cores for Snapdragon 427) cores up to 1.4GHz. Moto G6 has a Snapdragon 450 CPU, which is also an octa-core SoC with a higher speed of 1.8GHz. As expected, Moto G6 Plus has the most powerful CPU (Snapdragon 630) compared to Moto G6 and Moto G6 Play. The maximum frequency for the CPU is 2.2GHz. Both Moto G6 and Moto G6 Plus feature dual rear cameras (12MP+5MP). The 5MP f/2.2 camera will be used only when you change to portrait mode. It is designed for depth sensing, not real photo taking.